A draft of the Trump administration’s next budget proposal reportedly suggests the U.S. is planning to end support for the International Space Station by 2025. That’s a terrible idea. The draft proposal, seen by The Verge, aims to cut funding for the space station a full three years before it needs any sort of major overhaul. The ISS is guaranteed funding through 2024, thanks to an Obama-era ten-year extension of funding back in 2014. That date was pretty conservative, considering that as far back as 2010 NASA and the partners that built the ISS did a comprehensive assessment and determined that the station was likely viable through 2028. The station’s oldest element, the U.S.-owned but Russian-built Zarya module, will turn 30 in 2028. Evaluations of the various systems of the ISS have found that things are holding up better than expected, with the exception of the solar arrays, which are degrading one percent per year more than the expected one percent degradation. Even with the (doing the math) two percent degradation factored, the arrays should still provide adequate power up until 2028. While three extra years may not seem like such a big deal, it could mean the difference between continual progress and presence in space exploration and technology development, and a large gap, with redundant work and slowed progress. The impact will likely be greater for the United States than its Russian partners, as, at the moment, the U.S. is reliant on Russian Soyuz spacecraft to get humans into orbit. Crewed vehicles from SpaceX and Boeing are currently under development, and will likely not be ready for use until 2018 or 2020 at best. The Russians also already have tentative plans in place to de-couple their (admittedly limited) segment from the ISS and use it as the basis of a next-generation space station. Of course, this plan depends on their launching and docking to the ISS their Science and Power Module, Nauka. 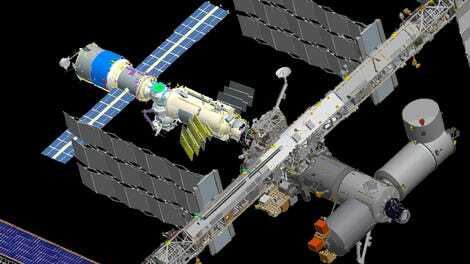 China is planning on launching the core of their Mir-like modular space station this year. If the Russians do de-couple their modules to build a new station and the Chinese station is operational by 2025, that would leave NASA and their European partners, ESA, the only major space-faring nations without a permanent orbital presence. Of course, the point isn’t to stay in low-Earth orbit forever, but the truth is that the ISS is an incredibly valuable destination for training, technological development, and research, and every extra year we can squeeze out of its use is worth it. NASA wants a deep space station at the L2 cislunar Lagrange Point, or perhaps even further out in space. The core module of that project, the Habitat Augmentation Module (HAM), is supposed to be built by this year. If the ISS is in place as a destination, the HAM could be docked, inspected, tested, and maintained, waiting for additional propulsion or power or fuel modules in a place where trained astronauts are already stationed, ready to assemble the final vehicle. As we move on from the original goals of the ISS, the station itself is still the only in-space resource we have where we can develop the components we need for whatever we’re moving onto next. 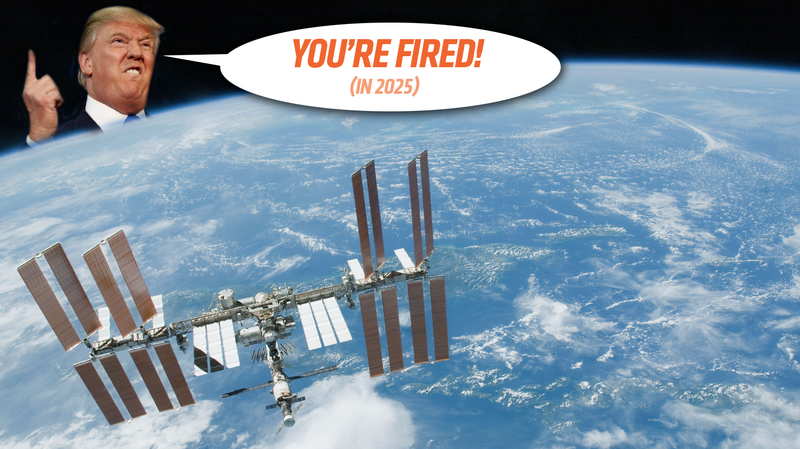 There’s no good reason to abandon the ISS when it has at least three more years of workable life in it. We’re simply not going to have all the elements we need for continued, unbroken progress in space ready by 2025; we might by 2028. We’ve made this mistake before, with America’s first space station, Skylab. While the Space Shuttle was being developed, there were extensive plans for one of its first missions to be a Skylab reboost mission, which would have corrected the space station’s decaying orbit, and allowed Skylab to be available for access by Space Shuttle. There were plans for refurbishment and expansion of Skylab via the Space Shuttle after that. Having a space station like Skylab available as a destination for the shuttle from the start could have given NASA a jump start of about a decade. Unfortunately, to accomplish this, the shuttle would have had to complete development and be ready to launch in 1979. The first shuttle launch was in 1981, after Skylab burned up in an uncontrolled re-entry. Getting anything into space is difficult and expensive. The ISS is far, far too valuable to throw away before its time. Let’s hope this doesn’t happen.